Welcome to our surf school. The Surf School is located on the Cantabrian coast, 50mts from Loredo beach, facing the I++++sland of Santa Marina. 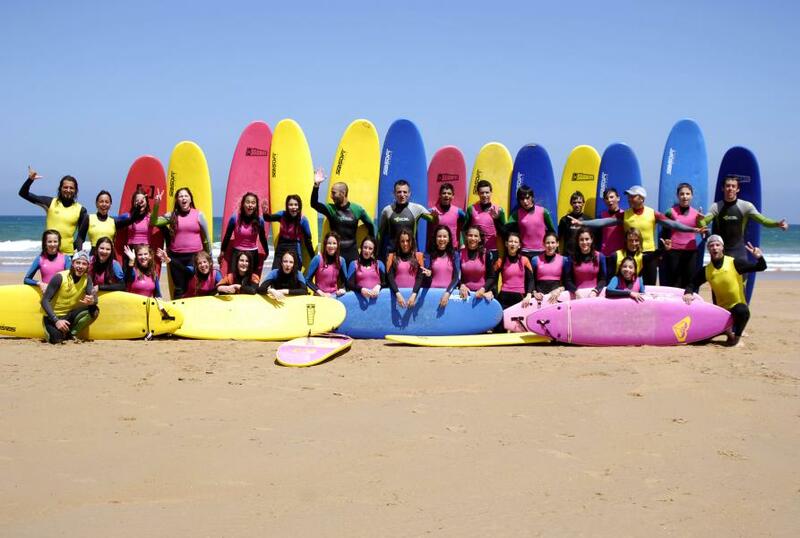 Our school is approved by the Cantabrian Surf Federation and our instructors have the required degrees such as Surfing monitor, First Aid, and Aquatic Rescue. Besides that, they have more than 20 years of experience surfing teaching and performance. As a professional job, they have worked more than 10 years as lifegaurds at the Loredo beach.